Stevie and Alex are still looking for answers about the mysterious Ender crystal Stevie discovered, and the sinister voice that seems to emanate from it. Their search leads them to a strange book filled with writing in a strange language, and pictures that seem to show two adventurers trapping the evil Ender Dragon in the End. As the writing in the book slowly reveals itself, the friends realize that the Overworld is in danger! The Ender crystal Stevie stumbled upon in the Overworld is one piece of an enchanted crystal that, if fully assembled, could either destroy the dragon—or set it free to destroy the world! Now Stevie and his friends must race to find the pieces of the broken Ender crystal. Can they find them all before the Ender Dragon discovers a way to stop them? 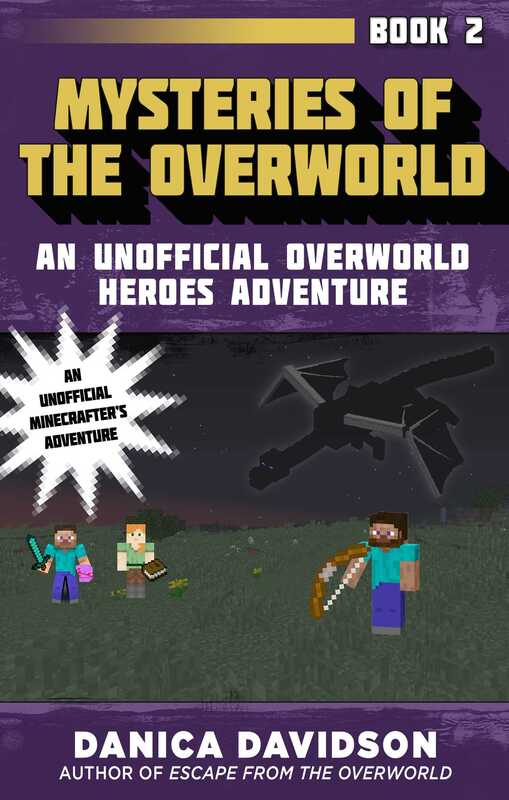 Fans of Minecraft will be at the edge of their seats all the way through this second book in the Unofficial Overworld Heroes Adventure series by Danica Davidson!